Please note: If you subscribe by email, you can always finish reading posts by clicking the title of the post. Thanks! It's not too late to sign up for the FREE Laura Ingalls Wilder on-line class offered by Missouri State University. It begins April 6 and lasts eight weeks. 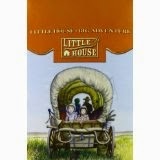 This course is called "Laura Ingalls Wilder: Exploring Her Work and Writing Life- The Later Years." I took The Early Years course offered this past fall. It was enlightening and full of wonderful information. 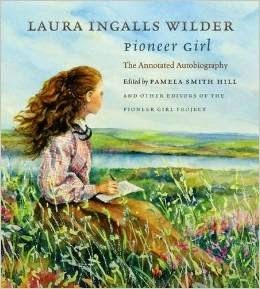 The editor of Pioneer Girl: The Annotated Autobiography by Laura Ingalls Wilder (linked to my review...highly recommend) teaches the class. semester they find a way to make it so we can have more meaningful interaction, not just more of it. Learn more or register for The Later Years! I already did!